The SpeedCamerasUK.com database of speed camera locations is compiled from reports sent to us by UK motorists and, occasionally, road safety partnerships. We do not sell or share the database with any manufacturer. The database is provided on a voluntary basis and we do not have the resources to check any locations. It may take time before your report has been acted upon. If you have a speed camera detector and have any query about camera locations you must contact the manufacturer of your device. Only they can alter their own database. We have no influence over any third party speed camera database. Our database is provided on a goodwill basis only and we will not be responsible if you rely on any locations given at this website. We have no connection with the Police, Local Authorities or the DVLA. If you receive a Notice of Intended Prosecution (NIP) this has nothing to do with SpeedCamerasUK.com. We cannot influence or contact anybody on your behalf regarding speeding fines and other motoring offences. There are many motoring lawyers and motoring solicitors who can advise you of your rights and obligations. We cannot and will not be held liable if you are caught speeding. It is quite simple. Observe the posted speed limit and you will not be caught speeding. As well as warning of camera locations, some detectors will now also advise you of the last known speed limit on the road where you are driving. However, speed limits can change permanently or temporarily. We advise that, in accordance with the Highway Code, you observe all road signage. Average speed camera zones: these cameras check your speed over several miles and often between several cameras. It is no good slowing down at each camera and then speeding up and overtaking every other car and slowing down at the next camera. If you have driven at 70mph in any part of an average speed zone, despite slowing to 30, 40 or 50mph for a camera, then it is highly likely that you will be prosecuted. Nothing that we provide is intended to allow you to break the law, nor drive at excess speed – as determined by the Authorities. Location databases and Camera Detectors are available to assist you in complying with the law. SpeedCamerasUK.com does not promote exceeding the speed limit. The location descriptions in our database cannot be guaranteed to be 100% correct. 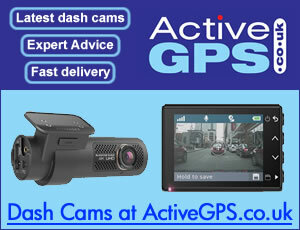 SpeedCamerasUK does not accept any responsibility for any actions you may take, based on the content of this website. All of the information at SpeedCamerasUK.com is copyright under the Law of the England and Wales, as intellectual property. This is a safety conscious website and should not be used to evade the law, nor relied upon as official information, as every location is added by a UK motorist and is not checked for credibility. View the speed camera database here. Question: Could you please tell me what the CURRENT SPEED LIMIT is at your site reference SWC008. Your page says it's reduced to 50mph during roadworks, but there are currently no roadworks on that stretch of road. It's the fixed camera, 4 miles from Launceston on the A30. Your page says it's Westbound, but I'm sure it's facing eastbound for vehicles approaching Launceston from Bodmin on the A30. Answer: SpeedCamerasUK.com is not connected with any UK Police or other local authority. We don't run, install or operate any speed camera - we just list where they are and information about them. Our online speed camera database is supplied to us by UK motorists and is not checked for its accuracy. To update the speed camera found at SWC008 or any speed camera location within the online speed camera database please see Guide to using the online Speed Camera Database. Question: Can I just check that you do manage the AURA database, or is yours a different one? Answer: The database on SpeedCamerasUK.com is solely owned by Active Alliance Limited. We do not sell this information to any other third party. We have no connection with any other speed cameras database including the AURA database which is owned/operated by Performance Products Ltd. Question: I believed I've been flashed between junction 14 and 15 northbound on the M6. There is no camera on your website at this location.... Is this true or just not been updated? Answer: Our database is updated solely by UK motorists sending information to us via a series of online forms; the database therefore is for information only and cannot be relied upon to be 100% true and accurate.